Join us for HPP’s annual Our House Gala! 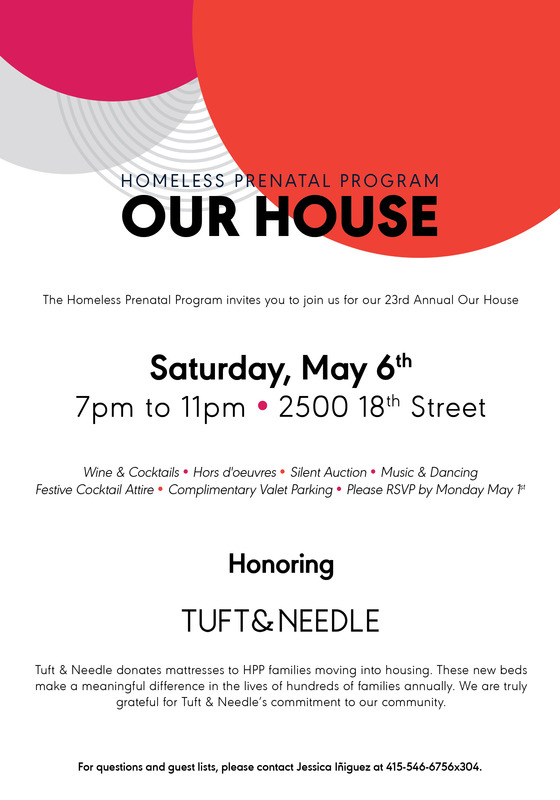 The Homeless Prenatal Program is pleased to announce this year’s Our House gala will be held on May 6th, 2017 at the agency’s vibrant, 3-story home — The Lipman Family Building — in the Mission District. This exclusive event raises critical funds for the agency’s work to end family poverty. Please join over 400 philanthropists, community leaders, and corporate partners for this one-of-a-kind celebration. Our House sells out annually and is an elegant yet homey party replete with live music, food, cocktails and dancing.